Hobbits & Hairdye: Thank F*** that's over. 2016 is finally over, we did it, we survived. Now, I know that we shouldn't wait for a designated day or a new month to start a fresh and make change. But there is something so refreshing about being able to wake up to a new year and feel a weight off your shoulders as a blank 365 day canvas awaits you. 2016 has been a bit of a chaotic one, both for me personally and globally. The world has endured a lot this past year and at times I've found myself disheartened by humanity. We witnessed deaths of beloved household names. We watched as heartache and destruction unveiled around us; Florida, Berlin, Turkey and Aleppo just to name a few. Massive political change occurred at home in the form of Brexit and across the pond as the world was shocked by the election of Donald Trump. As the year went on I wondered how much more our fragile world could take. But the world keeps turning and each day we wake up with the potential to create change - positive change. As cliched as it is, this year truly has been a roller coaster year for me. 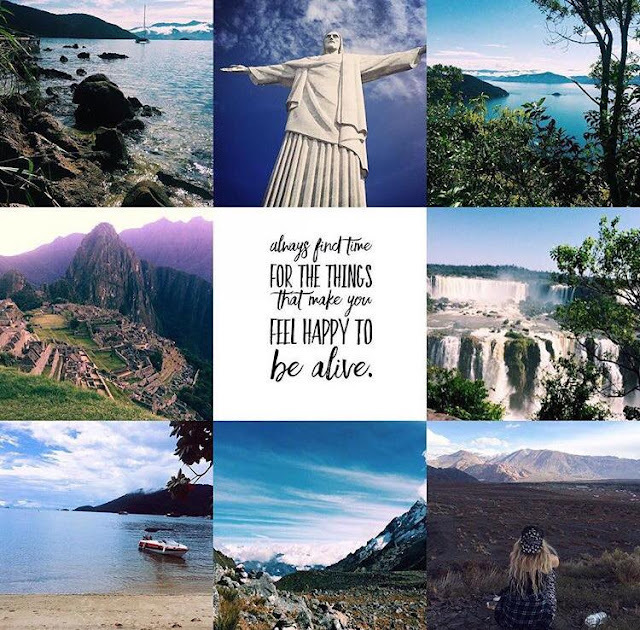 I got to tick another adventure off my travel bucket list and visit South America; a place I'd dreamt about visiting for years. Myself and a very close friend ventured to Argentina, Chile, Bolivia, Peru & Brazil. The trip not only reignited a strong passion for travel and adventure but also cemented an amazing friendship. The year was not all fun and games though. My mental health took a turn for the worst and I found myself face to face with a side of myself I had not seen in such a way for a many number of years. Myself and my family had to deal with major change and upset towards the end of the year, which really tested our relationship and my own individual courage. It's safe to say 2016 was the year of change - be that positive or negative the world has certainly changed a lot and will continue to, there is nothing that can be done. Whilst change is inevitable the way we deal with that is our choice, for me 2017 is the year of positive change; 2017 is the year of love. I'm not really one for creating new year resolutions, but I am one for creating goals and I've set myself 5 goals for 2017. 1. Make change. I want to get more involved in the world and strive for better, whether it be through volunteering, advocacy or creating awareness for issues that matter to me deeply. 2. See more. I want to travel more this year. 3. Be present. I want to make more time for friends and family. 4. Be Happy. I want to do more of what I enjoy. 5. Take care of me. I am all about self love for 2017. I want to take care of myself mentally and physically. 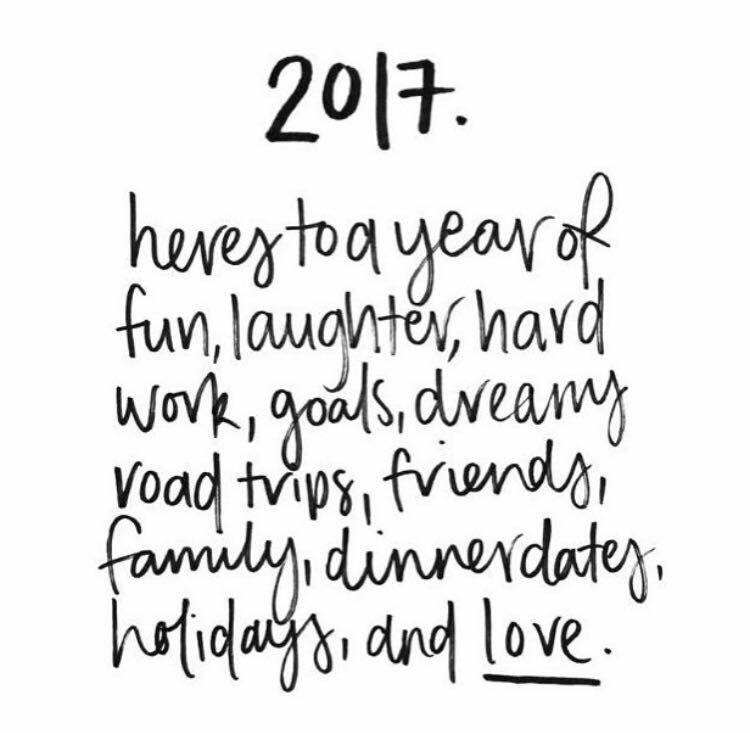 However your 2016 has been I hope 2017 brings you great things.